As beautiful as it is practical, the Chandler Coat Hook Rack will bring a stylish solution to your storage needs. 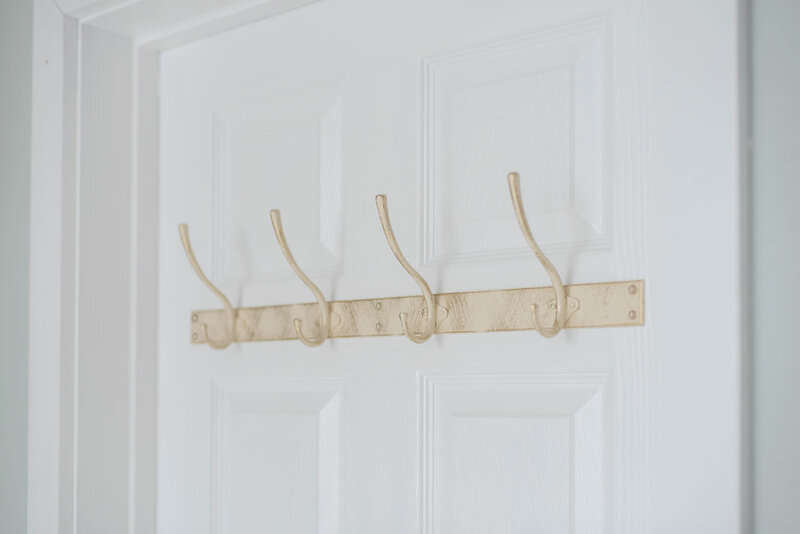 Hand crafted from solid steel, its deep double hooks allow plenty of space to hang coats, hats, woollies, dressing gowns or laundry bags. 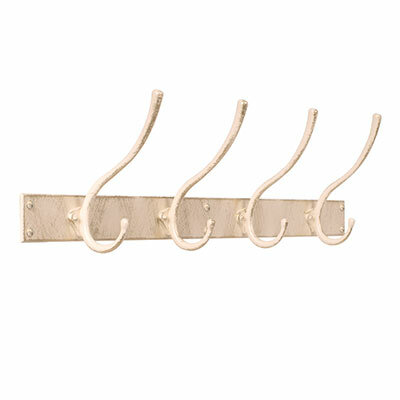 It looks fabulous in a kitchen when used to keep your favourite pots and pans close to hand, or in a hallway to hold your heavy coats, winter woollies, hat scarves and dog leads. Try using it in a child’s bedroom to keep their clutter off the floor or in a bathroom to hold your towels. 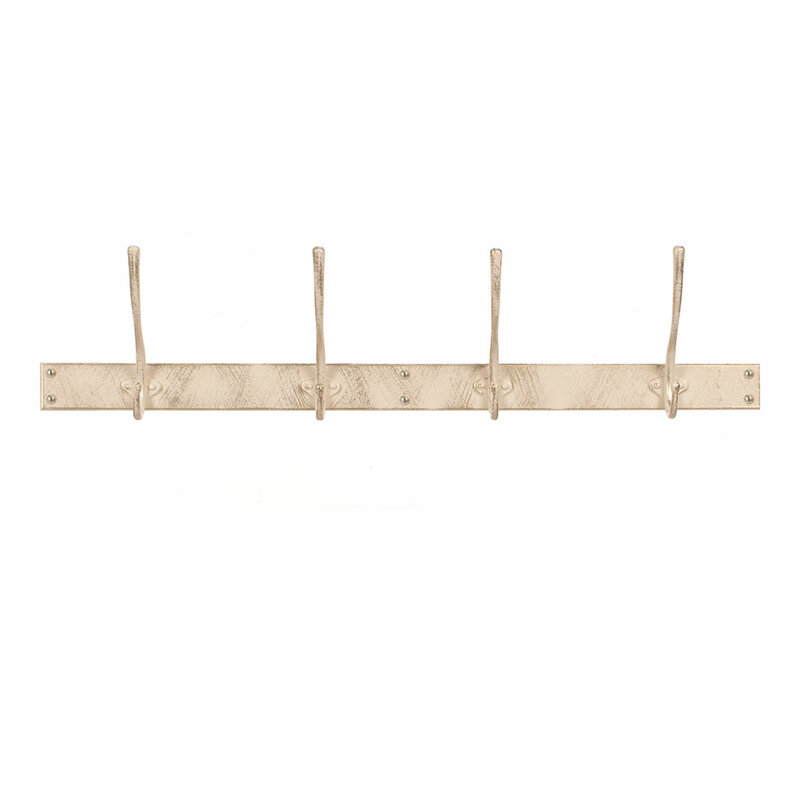 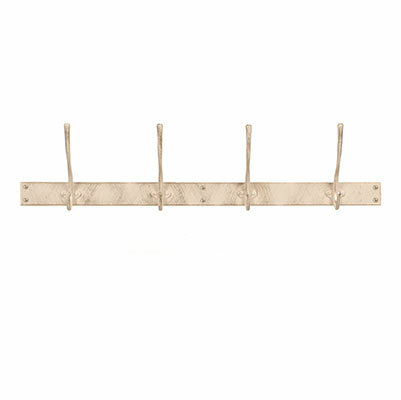 This coat rack is finished in old ivory created by overlaying the steel with gold paint and an ivory top coat that is carefully distressed to reveal the gold underneath. 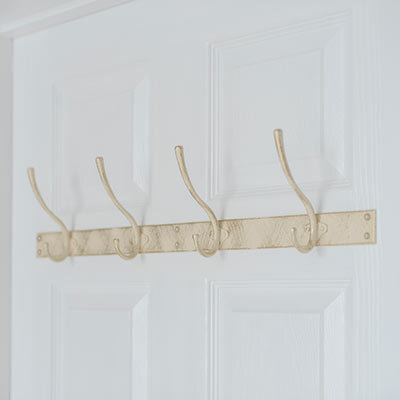 This gives it a distressed, shabby chic look that will suit any traditional or contemporary setting. 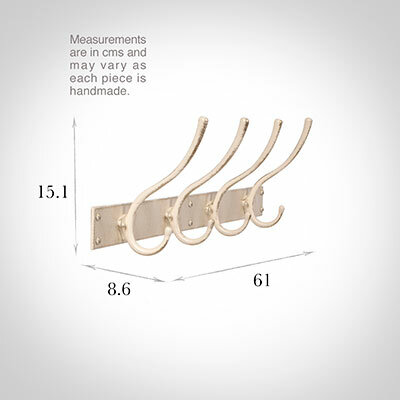 The Chandler Coat Hook Rack is 15.1cm high, 61cm wide and 8.6cm deep. 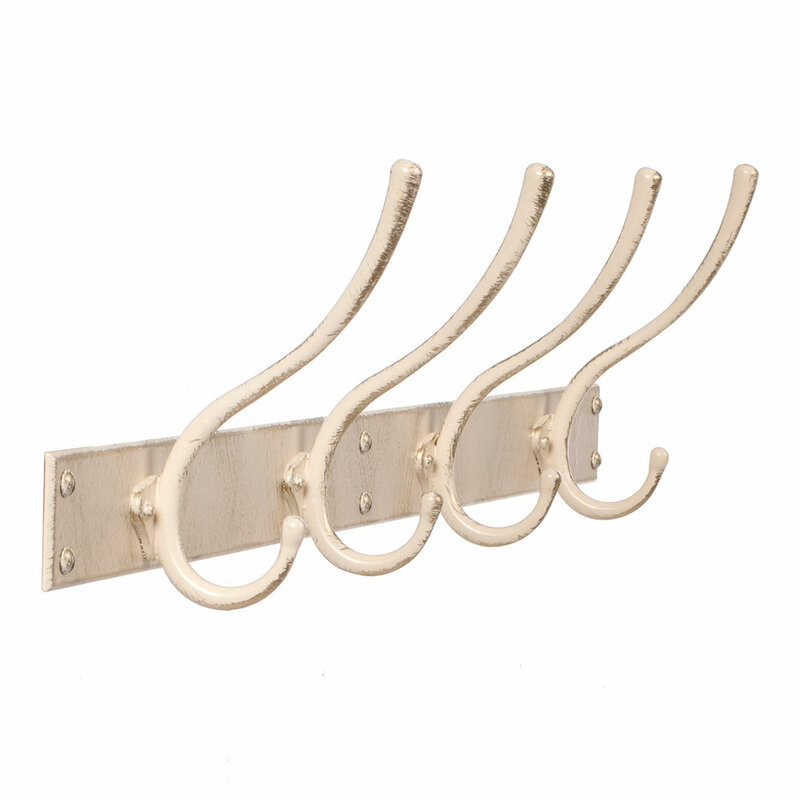 It is also available in our matt black, mercury, clay and polished finishes. For more storage solutions see our shelves and shelf brackets and our hat and umbrella stands.